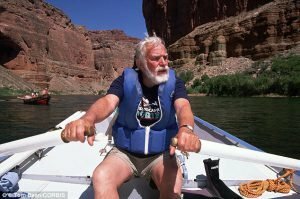 Though I never had the honor of meeting the man, I knew the legendary Martin Litton by association through my many friends in the Grand Canyon river running and conservation communities. Few individuals are held in higher regard by these groups than the recently deceased architect of the movement to dismantle the Bureau of Reclamation’s plans to erect a dam in the upper reaches of Grand Canyon. As a no-nonsense writer for the L.A. Times, and one of the few hundred individuals who had floated through the canyon, Martin was uniquely qualified to take up the charge. 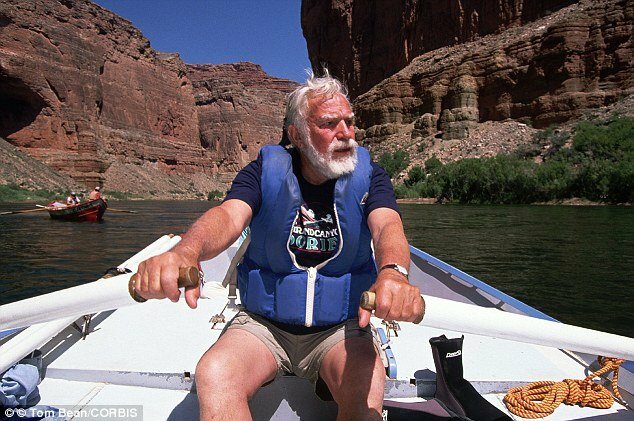 He convinced the Sierra Club to put their credibility (and tax-exempt non-profit status) on the line by showing the public what was actually at stake if a portion of the canyon was submerged by a huge Lake Powell-style reservoir.The result was a high-profile public relations battle that ended with the scuttling of the project by the powers that be in Washington, D.C.
To both his fans and critics alike, Martin was known as uncompromising. It should prove easy going forward to guess what his stance would have been on the thorny issues of today such as the FAA’s proposed net increase in commercial tour flights over the canyon, or the Navajo Nation’s planned Escalade project near the Little Colorado River confluence. Hear more about the dam debate in Litton’s own words by following this link.